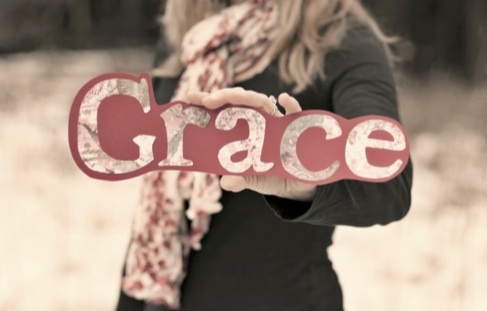 Welcome to A Community of Grace, a place where we gather with you in pursuit of living each day in the grace of God. Grace is the love of God poured out in His unmerited favor and divine power, giving us everything we need for life and godliness through the life of Christ in us. God desires for each of us to know Christ and live empowered by His grace. For many years we didn't understand how to do this. God has been teaching us that as we consistently spend time with Him in His Word, He reveals Himself to us. Hearing His voice speak through the pages of Scripture and meditating upon His words fills our mind with truth. As we respond to God's truth in obedient faith, His mighty power - His grace - is released in our lives. We invite you to take a journey with us through 90 Days of Grace. Our prayer is that each of us will gain daily insight into a new aspect of God's grace and apply it to our present circumstances. We hope you will share your journey with us by commenting on how God is working His grace into your life in new and fresh ways. As a subscriber to this site you will automatically receive each new devotion as it is posted. However, you can begin the 90 Days of Grace at anytime. 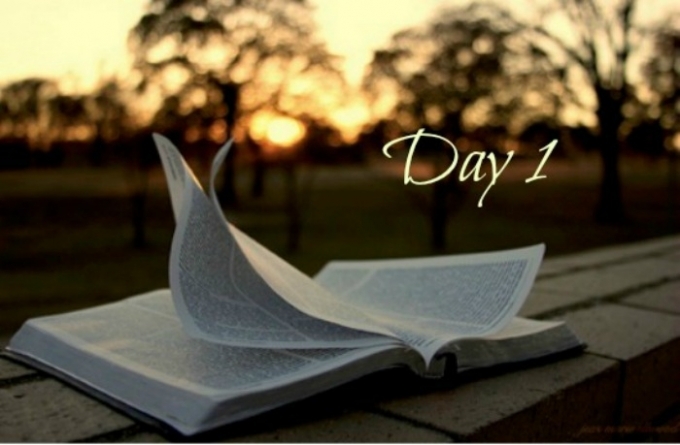 From the Search box on the side of this page, simply input which day's devotion (Day 1...) you are seeking. In many ways, we’re thankful Instagram, Facebook and other social media didn’t exist when we were in high school. Put it in the category of “ignorance is bliss,” for we have no doubt there were social gatherings to which we weren’t invited, but at least we never knew about them. That’s not the case for most teenagers today. Rejection can be far more public now than ever before. Even before social media, however, everyone at some point hoped for a phone call from a certain special someone. For many of us the call never came. How you respond to this one will affect eternity. Your response will also have an impact on how you live today. Jesus is sovereign over the affairs and circumstances of your life. He uses your challenges and struggles to call you into a closer and more intimate relationship with Himself. Through relationship He reveals His love to you. He heals you, comforts you, restores you. Yet often we allow our challenges and struggles to drive us away from Jesus. We feel rejected by Him. Nothing could be further from the truth. The challenges are a call, an invitation – not a sign of rejection. Jesus said, ‘Come to Me, all you who labor and are heavy-laden and overburdened, and I will cause you to rest. [I will ease and relieve and refresh your souls. ]” (Matthew 11:28 AMP). This is your daily invitation. Yesterday’s “coming” will not supply what we need for today. Yet, as with any invitation, we can decline. We can rsvp that we are unable to come. We can also set the invitation aside and forget to respond. What keeps you from coming to Jesus? What specific need can you bring to Him right now? We invite you to pause now, even if it’s for a brief moment, and come to Jesus. The Lord hears His people when they call to Him for help. God desires for each of us to know Christ and live empowered by His grace. For many years we did not understand how to do this. God has been teaching us that by consistently spending time with Him in His Word, He reveals Himself to us. Hearing His voice speak through the pages of Scripture and meditating upon His words fills our mind with truth. As we respond to God’s truth in obedient faith, His mighty power, His grace, is released in our lives. We invite you to take a journey with us through 90 Days of Grace. Our prayer is that you will be given daily insight into a new aspect of God’s grace and apply it to your present circumstances. We also hope you will share your journey with us by commenting on how God is working His grace into your life in new and fresh ways.